The Only China Secret Review You Need To Read: Scam EXPOSED! 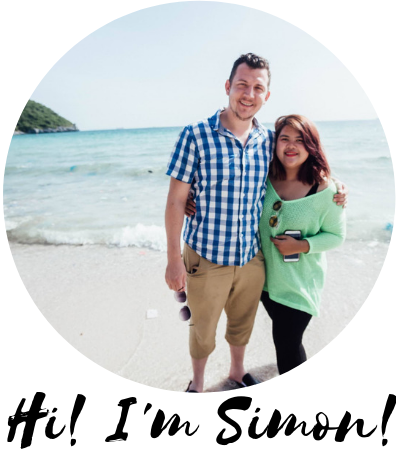 Hi, I’m Simon and welcome to the only China Secret review you’ll ever need to read – because we’re about to expose the China Secret scam once and for all! But I actually get excited about opening up my spam folder and pouring through all the junk emails. Because I’m always on the hunt for get-rich-quick scams to expose and genuine earning opportunities to discover! If you clicked on a link in an email that took you to the China Secret sales page and you’re wondering whether or not you should part with your $9, I’m super glad you’re here! Seriously, I applaud your due diligence in checking out this review before getting your wallet out and handing over your credit card details. That’s the surefire way to avoid time-wasting scams. TheChinaSecret.co went live in December 2018 and it didn’t take long for the money-hungry affiliates to start spamming the heck out of email boxes across the world wide web. With outrageous claims like making $28,432.22/day, I knew I just had to take a closer look. The big secret is The China Secret is a blatent scam that uses manipulation and deception at every level. Nothing on the website can be trsuted. You’re fed utter nonsense so they can sell you higher-priced upsells once they’ve got you inside the members area. It honestly doesn’t get much scummier or scammier than this and you definitely don’t want to be wasting any of your money, time or energy into this. Want my advice? Keep your $9 and treat yourself with it. The China Secret: A Path To Make $Millions Through Facebook Messenger?! If only we had a way of stopping all this?! Here just in time to save the day: The China Secret! According to Robert, whatever information is hidden on that 30 page PDF file is going to completely change your life like it did his. Robert says thanks to The China Secret system he is now earning a whopping $28,432.22 per day. All he did was set it up and now it runs on autopilot 24/7. This guy’s making money in his sleep! That’s pretty nifty isn’t it? How did he discover this revolutionary new money-making method you ask? By talking with some Chinese computer scientists in Texas of course! Here’s a screenshot from the video just so you know I’m not making this up. If you think this all sounds absolutely absurd, you’d be exactly right. Messenger marketing – yeah that’s not actually a thing. I can promise you there’s no-one making $28/K a day spamming people on Facebook Messenger. And who is this Robert Walters guy, this FB Messenger spamming expert who’s looking to sign you up as one of his 100 new recruits? In truth, we have no idea. All I know is he’s not 54 like he said in the video. He sounds like he’s not a day older than 17, sitting there in an upstairs bedroom of his mum’s house recording dramatic voiceovers. Credit where it’s due though, that whole story about meeting a group of Chinese computer scientists was pretty creative. This guy clearly has a natural flair for writing fiction. If it were up to me, I’d gladly give this guy an Oscar for his passionate vocal performances too. Imagine with me if you will, that you woke up tomorrow and suddenly discovered a secret way to make a guaranteed $28,000+ per day. What value would you put on that? How much would you charge to share these secrets with someone? More than a measley $9 right? Why exactly is this guy, who makes more than a million dollars a month, trying so hard to persuade you to buy in to his system? I’ll tell you why. In a word – upsells! Once inside the members area you’ll see the links to China Secret Guides 1 and 2. The first guide is a 30 page downloadable PDF file that gives you an overview of what he calls ‘messenger marketing’. This guy, Robert, Jermaine, whatever he calls himself, knows that the best way to squeeze as much cash out of you as possible is to get to pay a small token fee upfront so you feel like you’re invested. Once inside, he can hit you with as many upgrades and offers as he wants. It’s clear to me The China Secret is set up to generate money for the owner and affiliates promoting it, not for the people buying it. After digging a little deeper, I found that the China Secrets Guide 2 booklet is actually an older product called FB Chatbot Secrets where Robert here has just bought the reseller’s rights for $10 then repackaged it as his own. 3 more upsells at $37 a pop. That’s an extra $111 on top of the previous $371 China Secret upsells, a combined total of amounting to $482. And you thought you were buying into a complete foolproof money-making system at $9! Owed to the fact The China Secret is sold through Clickbank.com, the $9 fee for the crappy PDF files is 100% refundable for 60 days. Any upsells you buy into will not be covered by the same guarantee. The China Secret owner hides his true identity behind a cloak of anonymity. He promises you’ll be earning $2K/day starting today which is clearly false. Everything you see and hear on their website is complete fiction. Many people could lose up to $500 paying out for low quality, outdated and recycled Ebooks that don’t actually get results. I will lose no sleep tonight saying that The China Secret is a scam you should definitely steer clear from. I don’t care how many Chinese computer scientists were involved, this is never going to get you the results you’re looking for. Websites like The China Secret like you to think there’s some magical shortcut to easy and instant profits online, but scams like this never stick around for long and they never help you get to where you want to be. The only true, long-term way of making money online is by creating income-generating websites. That’s what I’ve been doing since 2014. Your website can be about fishing or fashion or pretty much anything you are interested in. Yes, you have to put in the effort consistently for 2-3 months before you start seeing results, but it is definitely worth it. Start your free beginners training here and you can even ask me questions as you go through the course! I sincerely hope you’ve found this review of the China Secret scam enlightening. Have something to add to the conversation? Think I’m being too harsh? Have a question you’d like me to answer for you? Scroll down and leave your comment and I’ll be more than happy to help any way I can! Well in all honesty my most popular phrase is bad opportunities. However in some cases, especially the most special ones I have no problem putting the label scam on them. Well in this case after reading your great review i have no problem calling the China secret a scam. Its reviews like this that we need in order to help educate so many people out there that still think they can make a quick dollar.Thank you for taking the time to do the research and providing us with a great review. It’s not a word I use lightly either and I think you’re right – the vast majority of the make money online training courses out there are just low quality, but as you say, when product creators make up the most outrageous stories, using emotional manipulation and promises of $2,000 a day on autopilot (That’s $600,000+ a year!) there’s just no denying it. I should really appreciate you for being this brave and exposing The China Secret. Again if not for you I would have been also scammed by them. Now I know exactly what they are up to and what kind of a platform is this. Thank you so much for sharing this insightful and a helpful review for us. You’re more than welcome Sujander – this is definitely one to stay well away from!